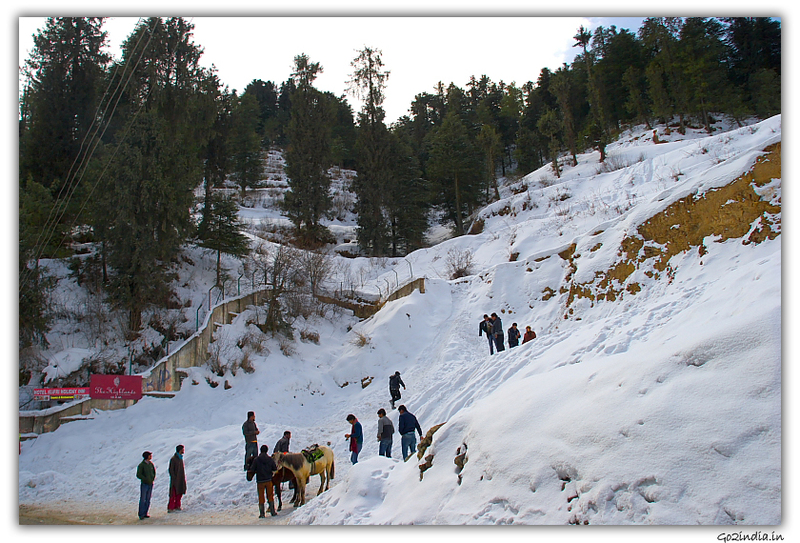 Keylong is situated on the famous Manali to Leh Ladakh road which leads to Srinagar on travelling further. 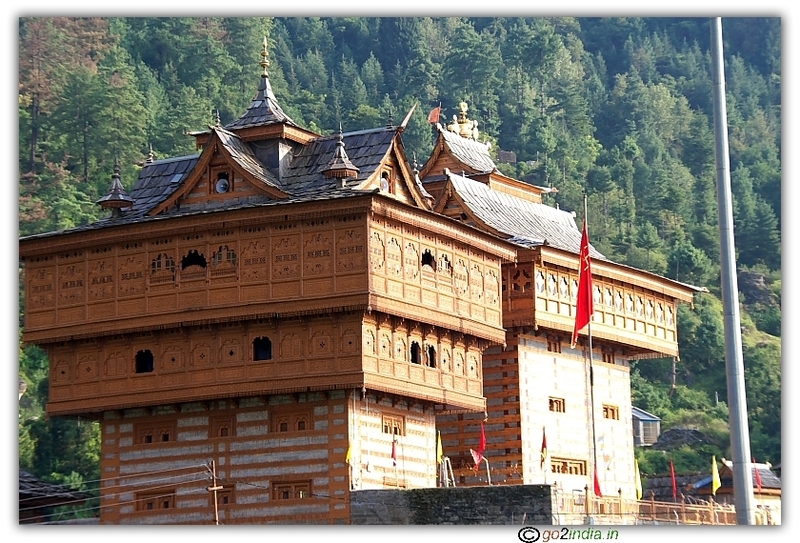 Keylong is approximately 120Kms from Manali in this route. 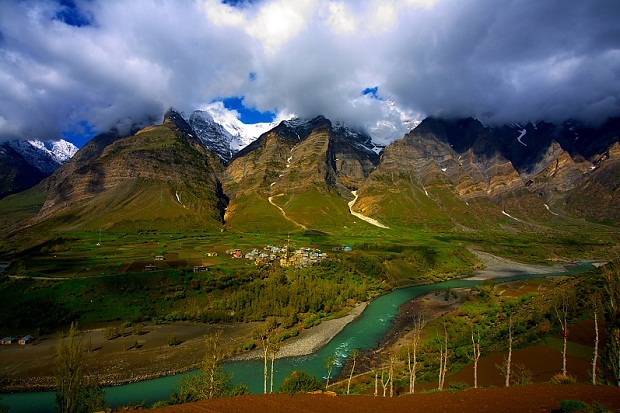 Manali is in Kullu district of Himachal Pradesh while Keylong is situated in Lahaul and Spiti district of the same state. One has to cross the border of Kullu to reach Keylong after Rohtang pass. 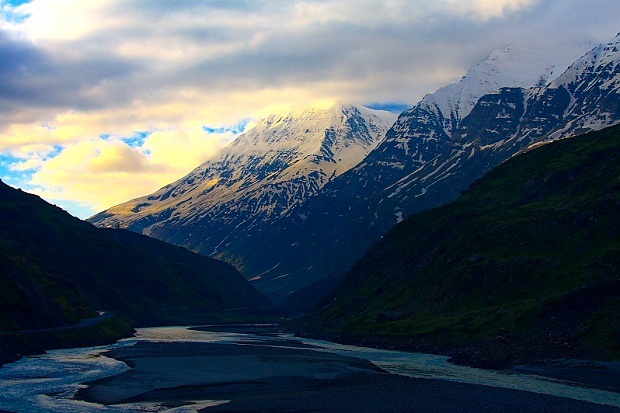 It is not possible to visit Rohtang pass and enjoy completely while travelling Keylong. There are so many sports available in Rohtang pass which nearly take one day to enjoy. 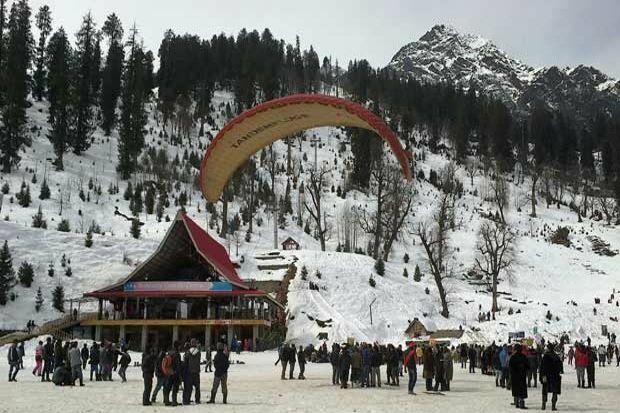 So, travellers moving towards Keylong, may have to leave in the early hours from Manali if want to enjoy the snow point. 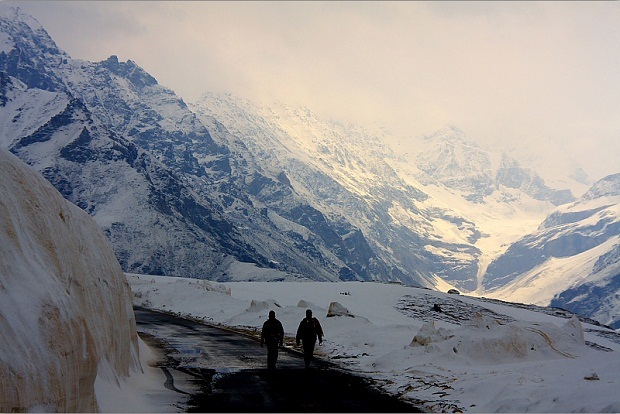 Road to Keylong from Manali is cut off during October to April due to snow falling near Rohtang pass area. Sometimes the road is opened early (end of April) with the effort of defence people who work hard to clear the ice at Rohtang pass. One can see the big field machineries on this way specially buldozers which are used to clear the ice. There is a two lane road being constructed (April 2010) from Manali to Leh. Due to this, the coondition of the road has become worse. One has to be very careful while driving. Better to get a vehicle which has more ground clearence. 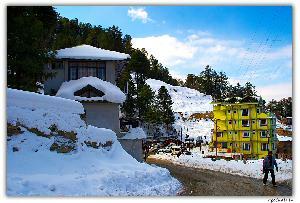 But Manali area many travellers use Maruti Alto car for transportation. Better to be aware about the road condition here before proceeding to Keylong if one plans to go by smaller vehicles. Bigger vehicles like Sumo, Qualis or Travera are preferred. Buses start from Manali to Keylong and from Keylong to Manali at same time. Timings are, 4.00am, 6.00am, 9.00am, 11.00am, 12.00 noon. 12.00 noon bus is the last one. 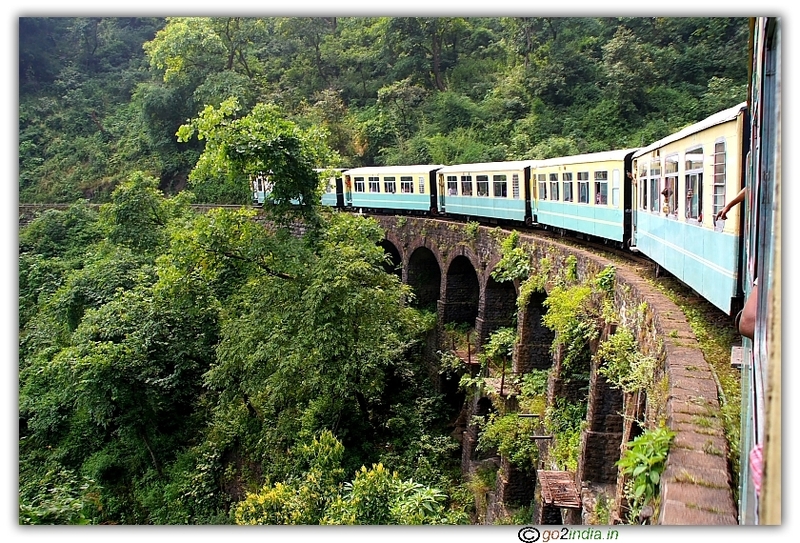 Depending upon the traffic, time to reach Manali from Keylong (and Keylong to Manali) varies from 4 Hrs to 10Hrs. Main traffic jam occurs at Rohtang pass and Beas nallah near Marhi. While going from Manali to Keylong, better plan to cross Rohtang pass peak area before 8.00am. Especially during season times, that is during May and June, when lot of tourists visit Rohtang pass, keep in mind to come out of this area as early as possible. Sometimes the road becomes too slippery because of snow falling. Better to hire a vehicle as local drivers are very much experienced driving in such situations. If one wants to use his own vehicle, atleast consider hiring a driver from local travel agent. There are many villages which one can see between Manali and Keylong. After crossing Rohtang pass, one has to descend almost the same distance of Rohtang pass hight from Manali. After crossing Rohtang, first village is Gramphu. 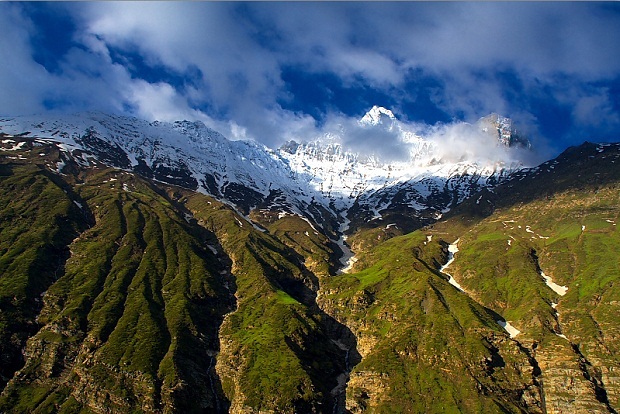 Gramphu is 20Kms from Rohtang. Gramphu is the place where one has to take right turn to travel towards Spiti valleys (Chandratal, Chapru, Kumzumla pass, Kye, Kibber, Kaza etc...). Chandratal is 60Kms from Gramphu. kaza is 130Kms and Tabo is 170Kms from Gramphu. Though Rohtang opens early, this road towards Chandratal is closed till mid of June. Get the information from a local person at Manali about the opening of this road. 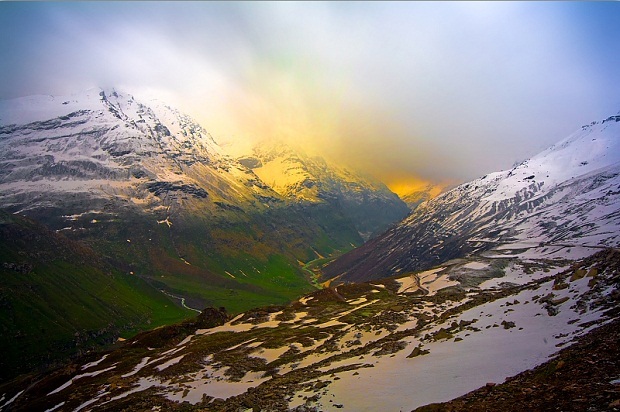 The advantage is that, one can visit Chandratal while travelling towards Keylong from Manali. Consider staying at Chapru after visiting Chandratal. At Chapru hotels are not available. Normal tents made by local people are available to stay. This is available only during July to September. The charges will be INR 50 per person. One tent can be hired for entire family. Before reaching Gramphu, one can see the valley line of Lahaul and Spiti just after crossing Rohtang. During beginning of the season, that is, when the road opens, one can see the snow capped Himalayan mountain range which are very huge and get terminated at infinity. Try spending more time in this area to enjoy the mountain range. The thin line of Chandra river water flow can be seen. The origin of Chandra river is at Chandratal. This river runs throught the road way to Keylong and flows towards Udaipur Trilokinath after Keylong at Tandi. Thandi is the confluence of rivers Chandra and Bhaga. The origination of Bhaga river is at Baralacha la. Normally, as the visitors travel during early hours and cross Rohtang, the Sun rise will be from the back side of these hill range. 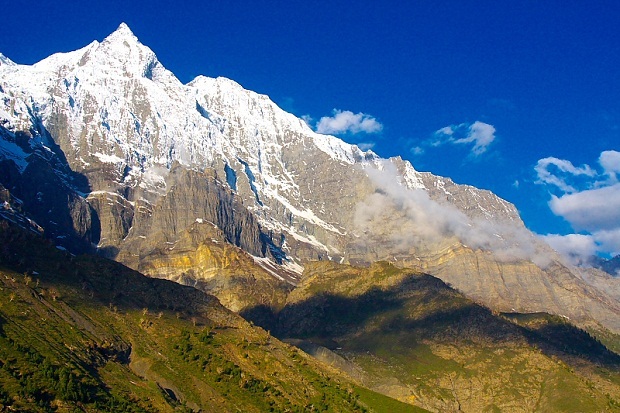 Even, for people who are not visiting Keylong and travelling to Rohtang pass, it is suggested to travel 3 to 4 Kms after Rohtang peak towards Keylong to see these Lahaul and Spiti valleys of Himalayas. There is a rock on the way before reaching Gramphu which has got the shape of a snake hood. The next village is Khoksar. 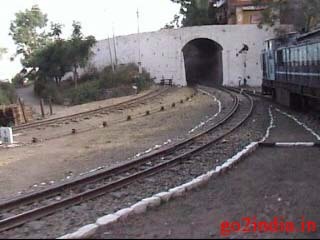 There is a check post at Khaksar. 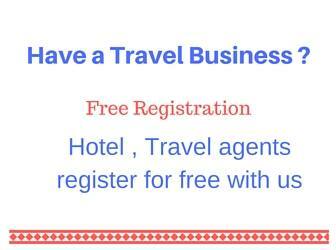 Small hotels are available at Khoksar. Before entering into this area, one has to write the purpose, vehicle registration number, number of people travelling etc... Leaving Manali at early hours, one can have breakfast at Marhi or Khoksar. 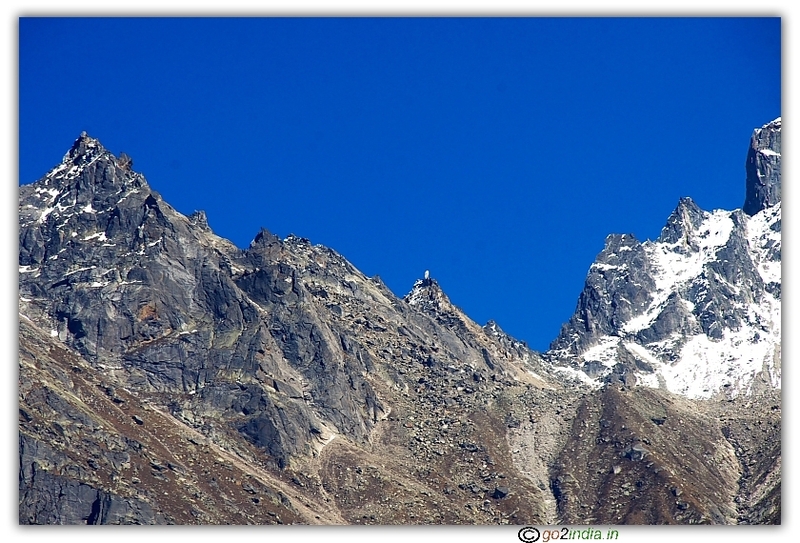 The peak point at Rohtang pass can be considered as the mid way between Manali and Keylong. After Khoksar, almost throught the distance upto Keylong, one can see honey bee farming. After Khoksar, the next village one will see is Sissu. The distance between Gramphu and Sissu is 35Kms. Gondhla is the next village to reach and Tandi comes soon. The distance between Sissu and Tandi is 25Kms. From Khoksar to Tandi the valley view is just marvelous. Consider moving slowly enjoying the nature in this area. It is a heaven for landscape photographers. At Tandi, one can see the confluence of rivers Chandra and Bhaga. The place is just gorgeous with the back drop of huge mountain line. At Tandi, take a right turn and Keylong is just 7Kms from here. One will be moving along with and opposite to the river Bhaga which flows beside Keylong. While travelling from Keylong to Manali also, one should leave Keylong early. People have to cross Rohtang pass before 8.30am so that they reach Manali in time. The reason being, after 9.00am the traffic from Manali towards Rohtang increases and traffic jam may occur. The time required to travel from Keylong to Rohtang pass is 2 hours 30 minutes with normal speed. The early hour tender lighting on the mountains give an excellent look to the mountain. Consider stopping at Khoksar or Marhi for breakfast instead of having it in Keylong itself. Don't forget to mention your return journey at Khoksar check post in the same register where you had entered while travelling towards Keylong. Can you give me contact details of some local drivers for Ladakh and Zanskar? Any agency which provides this service?